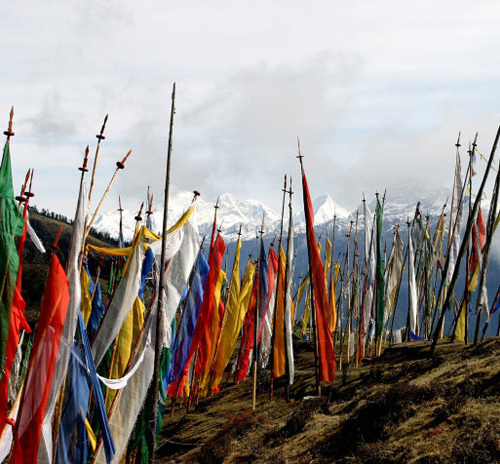 Bhutan’s currency is the ngultrum (Nu.) and is on par with the Indian Rupee, also an accepted legal tender in the country. The approximate exchange rate is Nu 60 for 1 US$. It is however recommended that you carry travelers’ checks or cash, preferably American Express and US dollar instead, as the ATM facilities for foreign currency is limited to just few towns including the capital city Thimphu. Visa and American Express credit cards are also widely accepted. You may change dollars, Euros, traveler’s checks, and a few other convertible currencies at banks and bigger hotels in all major towns. A Forex is also located in the heart of Thimphu. There are a number of banks in Bhutan that cater to the needs of the people. Some of the banks that you can avail services and facilities while in Bhutan are the Bank of Bhutan Limited, the Bhutan National Bank, the Druk PNB and the Tashi Bank. All the banks provide SMS and internet banking facilities. There are also ATM facilities available, and ATMs are located in a number of places where you can withdraw your money especially in Thimphu and in the border town of Phuentsholing. Traveler’s check can be easily withdrawn and exchanged into local currency. However, as you travel into the interior, ATM and internet facilities are almost non-existent and we suggest that you do your banking facilities while in Thimphu. Bhutan’s national language is Dzongkha. It has Tibeto-Burman roots. However, since English is the medium of instruction in schools, the language is widely spoken in most parts of the country. Bhutanese are polyglots; a person can fluently speak more than one language. And there are more than 18 dialects spoken in various pockets of the country. Our guides speak fluent English. A typically Bhutanese staple is rice, ema datsi (chili and cheese curry), and suja (butter tea). So, expect this fare, should you visit or stay in a farmhouse. Most hotels also serve Indian, Chinese, and Continental dishes. You can also try out momos, the Tibetan dumplings. Although star-rated recently, the standard of accommodation in most tourist hotels, lodges, and guesthouses, remains relatively basic. The more frequented districts in western parts of the country generally offer better standards of accommodation than the less frequented eastern and southern parts. However, since all the hotels are approved by the Tourism Council of Bhutan, you can expect at least a decent standard. The only mode of transportation within Bhutan is by motor vehicles. There is no domestic air service yet. And trains are not feasible given the mountainous terrain. However, domestic air travel will be possible starting January 2012. Office hours in Bhutan are divided into two timings – the summer timing and the winter timing. The summer timing begins at 9 am Bhutan Standard Time and goes on till 5 pm in the evening. The summer timing is followed from March till the end of October. The winter timing that lasts for the months of November till the end of February begins at 9 am in the morning till 4 pm in the evening. However, these timings are followed only in Thimphu and few other districts. These timings are followed only by the civil servants. For those employed in corporations and the private sector, the timings are usually from 9 am till 5 pm irrespective of the season. Bhutan experiences four distinct seasons, similar in their divisions to those of Western Europe: spring, monsoon, autumn, and winter. Most tourist visit Bhutan in spring and autumn. Another good time of the year – autumn – begins from September and lasts till the end of November. Monsoon brings heavy downpours and occurs between June and August when the temperature is normally between 8° and 21°C (46°-70°F). Winter in Bhutan is cold and dry with most high lying places snow-covered. Winter lasts from December to February. Summer is humid and the country experiences heavy rains and frequent road blocks. However, Bhutan’s climatic conditions are different at different places and locations because of country’s geography. Some places in Bhutan are as low as 100m, while others are more than 7,000m above sea level. The mountains in the north of Bhutan on the borders with Tibet are perennially covered with snow. – U.S.: Consulate General of Bhutan – 2 UN Plaza, 27th Floor, New York NY 10017. Tel:(212) 826-1919, Fax:(212) 826-2998. – Thailand: The Royal Bhutanese Embassy in Bangkok – Jewelry Trade Center Building, Rm. 1907, 19th Floor, 919/1 Silom Road, Bangkok 10500. Tel:2671722, 630119 – Fax:6301193.